Analysis: What Will Furloughs Mean For Young Feds? 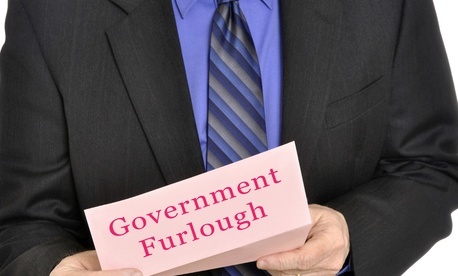 One of the main concerns for all federal employees are mandatory furlough days. With budgetary cuts as harsh as 11 percent for some departments, furlough days will be used as a way to trim some of the spending by federal agencies. While one or two days a month do not seem at first glance to be that detrimental to an employee’s paycheck, state furlough programs have proven otherwise. In California, UC Berkley’s Center for Labor Research and Education found that the three mandated furlough days per month during the 2009-2010 fiscal year amounted to a 13.8 percent reduction in salary, which is almost two months of pay per year. The study found that this hardship could possibly be linked to increased levels of stress in the workplace, more careless work errors and possibly higher turnover rates. What could this mean for young feds? One of the main concerns for young employees is the growth of student debt for professionals under the age of 30. According to Bloomberg Businessweek, as of September 2010, student loan debt surpassed credit card debt for the first time ever, and in 2011 it surpassed automobile loans. According to the Project on Student Debt the average amount of student debt for the Class of 2011 was $26,600. A 2012 Young Government Leaders (YGL) survey found that the average debt load of respondents was $47,400, due in part to over half having a masters degree or higher. Young feds count on their newly acquired government jobs to help ease the burden of debt through salaries, and even loan repayment assistance from some agencies. In the same YGL survey it found that 43 percent of respondents had one month or less of savings with 25 percent living paycheck-to-paycheck. The implementation of furlough days could lead to higher turnover of younger federal employees due to disenchantment with the benefits originally promised by their respective agencies. Or, on a more basic level, young feds may leave the public sector out of financial necessity. Young feds that are new to the public sector and hit with furloughs may find more security in the private sector, as they are more apt for lateral career mobility due to their lack of familial and financial constraints. What does this mean for the public sector as a whole? This could create less of a base to build future high-level positions in federal agencies, particularly in areas of defense where sequestration cuts could hit the hardest. Young feds will not be the only ones losing when furloughs take effect. Furloughs will be detrimental to the future of federal agencies as they become less attractive career paths for young graduates and professionals. Continued congressional gridlock between the executive and legislative branches should be cause for worry for federal leaders everywhere. It’s not just their respective budgets on the line. It could very well mean stagnation in the future productivity and growth of the public sector.